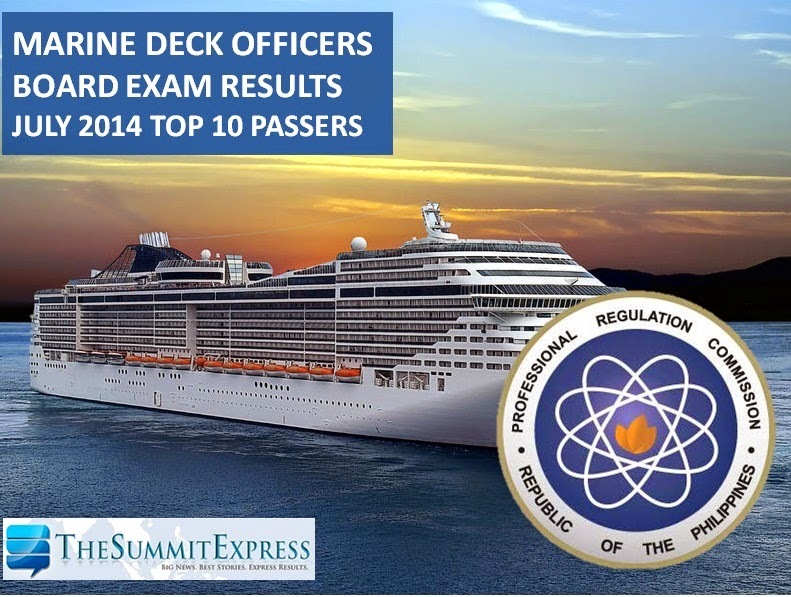 The Professional Regulation Commission (PRC) officially released on Wednesday the full list of passers for the July 2014 Marine Deck Officers board exam. 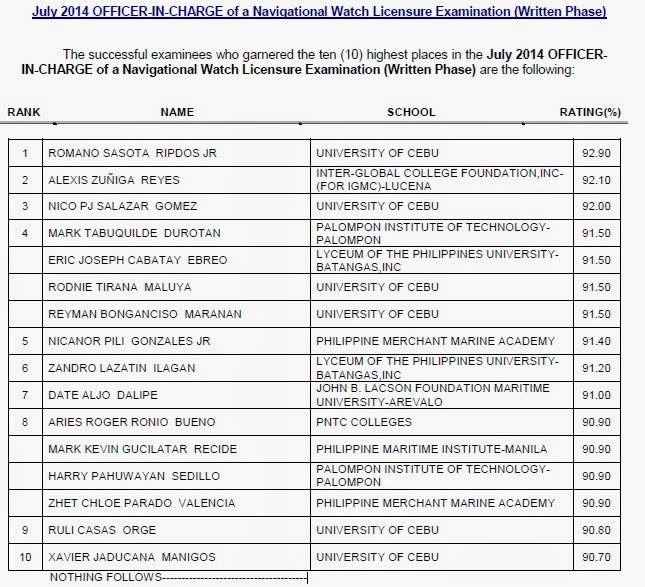 University of Cebu (UC) graduate, Romano Sasota Ripdos Jr. topped the OFFICER IN- CHARGE (OIC) of a Navigational Watch board exam (Written Phase) with 92.90 grade. 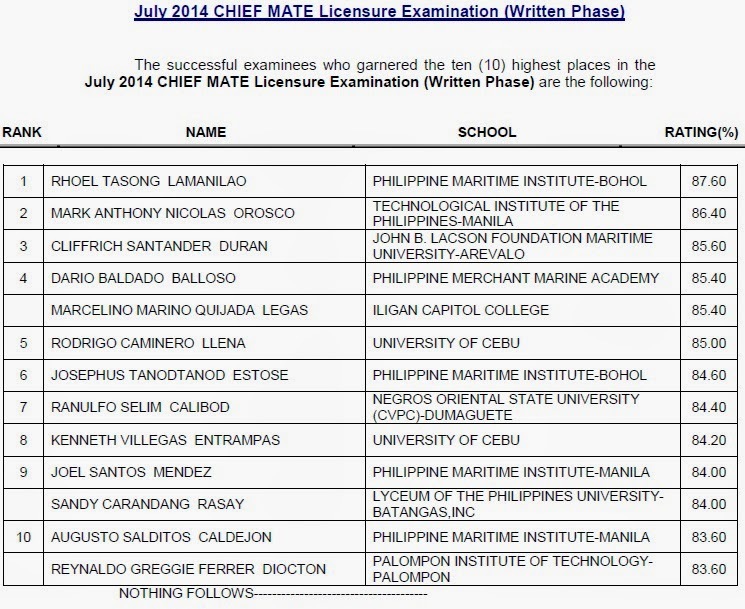 Rhoel Tason Lamanilao of Philippine Maritime Institute-Bohol topped the CHIEF MATE board exam(Written Phase) with 87.60 percent grade.